If you ponder over swaying from a PC to a Mac shortly, at first, you should get enough information, and consider all possible pros and cons, to make your decision deliberate. The long-term Windows users at first may find Apple OS’s with all their peculiarities to be more complex and less intuitive than the OS on PC’s. However, after a short period of learning about all the features of macOS, and getting used to it, things get on the rail, and a user can enjoy their new device to the full. 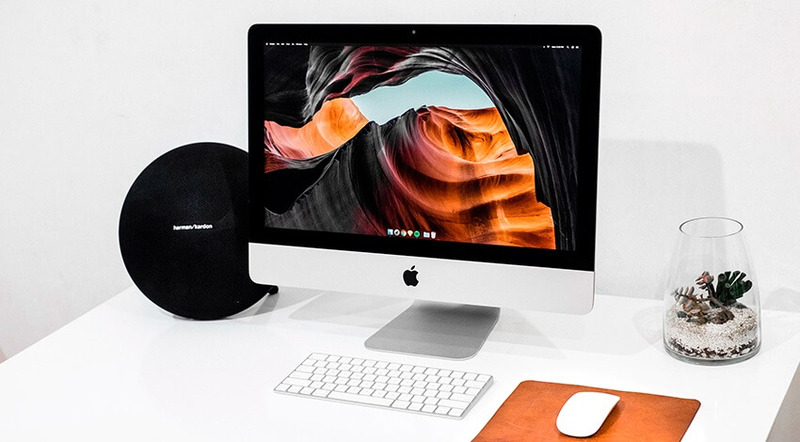 In this article, we look at the main advantages and possible drawbacks of Macs and provide a list of basic things you need to know about Apple devices, to help you make a right decision. Apple computers and portable devices are solid and finely built machines, and any dedicated Mac user will tell that if being properly treated, they can serve for years, without getting any major problems in their performance. Macs are significantly less prone to various viruses, as compared to Windows running devices. Apple developers are trying their best to minimize the risks of the users to get their Mac infected with malware. Initially, macOS, as compared to Windows, is not overcharged with pre-installed software which is not always something you need or want on your device. Macs do come with a set of standard applications, but all of them being developed by Apple are effective and won’t slow down the work of your device whatsoever. Apple provides customers with a great support, warranty programs of AppleCare and the help of trained consultants in Apple Stores. Apple tries hard to go ahead of other developers, and often is first to introduce some innovative features into their devices. Multi-touch trackpads, C ports of USB type and Thunderbolts are a few examples. Apple products have one of the industry’s highest rates of customer satisfaction ever. Any customer can be sure that a Mac they buy is a high-quality, reliable device. Of course, these characteristics may apply to Windows-running devices as well, but with such a big number of developers, it is harder to grant the exceptional quality. In most cases, prices for Apple computers are far less affordable for a large number of customers. They say, you pay for quality, but Windows developers provide many great high-end devices as well. The variation of prices and the selection of PC devices is huge, as compared to Apple that offers only a limited range of choices and, as mentioned above, mostly higher than average, prices. As compared to Macs, PC’s are a lot more configurable, upgradable and adjustable. On a PC, you can configure a lot, including hard drives, memory, processors, displays, ports, and more. Besides, you can adjust the work of pretty much any component on a desktop. On Macs – on SOME Macs – you can upgrade the hard drive or RAM. That’s it. The market offers a lot more software developed for Windows computers rather than for Macs, which surely makes the user experience so much easier. Usually, Mac users can find equivalents for Windows applications, but often they are not just as great. Beyond doubt, PCs are leaders when it comes to gaming. Macs simply don’t come with graphics cards powerful enough to handle ‘heavyweight’ games. Unlike Macs, PCs have a lot wider choice of accessories, which in most cases are cheaper, too. Windows-run computers have better compatibility characteristics. Older versions of PC can run the latest Windows 10 effortlessly. At the same time, older Macs can handle the more recent macOS, but you’ll notice half of the features missing, and the productivity being not quite The tendencies show that a user always needs to own the latest version of Mac, to enjoy all the innovations of the new macOS. Mac developers claim that Apple OS’s are simpler and more intuitive to operate. But this is a truly arguable question. Windows may (possibly) seem to be more complex, but they come packed with more powerful and highly adjustable features, too. Perhaps, deciding which of operational systems – Apple or Windows – is handier to utilize, depends upon a user. Apple developers proudly state that their products have more up-to-date and sleeker design as compared to PCs. Their claims are not groundless, but can this be a crucial factor for you to choose a new device? The list of Mac’s advantages and drawbacks, and their differences against PC’s can go a lot longer; there are tons of factors to consider. However, Apple has gained its reputation of an outstanding developer for a reason, and if you choose to migrate to a Mac, after a short term you’ll get used to it, and we are sure, enjoy it, too. Here’s a short list of the things a newbie user needs to know about Apple computers. 1. Before you decide to buy a new Apple device, get enough information about it. Read blogs and support resources online. Besides, you can go to the nearest Apple Store, to check out a device you would like to own, try it out and ask Apple consultants all and any questions you have. 2. Modern market offers a great variety of apps for Windows. A user, migrating to Apple, should take time to find the equivalents of his favorite software for Mac. 3. Apple support offers a great manual on transferring personal data for users who switch from a PC to a Mac. Make sure to read all the clauses of this documentation carefully, and just follow the instructions. Quit an app – Command + Q. Besides, you should remember that there are no such keys as CTRL, ALT, and DEL on a Mac. Here, CMD, ALT, and ESC stand for them. 5. A lot of former Windows users get confused when they can’t find a right-clicking mouse menu on a Mac. Even a Magic Mouse on a Mac trackpad has no buttons. But you can still accomplish a right click. Firstly, you can hold down a CTRL key while clicking. A second option is to open System Preferences –> Trackpad and enable the option of Secondary Click. Now, to open an equivalent of a right-button menu, you’ll have to tap the two of your fingers on a trackpad. 6. It is important to keep your data backed up on a Mac, to be able to restore it in any unforeseen situation. You can backup easily with a Mac pre-installed app Time Machine or use a third party application to help you out. 7. Use Spotlight and Finder, to quickly browse for files, documents, and apps, and open them. 8. Open applications through the Dock and Launchpad. 9. Use Trash, located in the Dock, to throw away files. 10. System Preferences is a Mac equivalent for Control Panel. Use it, to manage the work and settings of your Apple device. 11. Be sure to clean up media junk, cache, and trash regularly to improve Mac performance. Use an all-in-one powerful cleaning app to help you. We hope that our tips and facts help you to make a right decision as to switching to a new device.